Providing care and support beyond our borders. A passion for reaching out to the greater community and connecting with our neighbors has been deeply rooted in Tel Hai’s culture for more than 60 years. As we focus on enhancing the lives of those on our campus, we also strive to improve the well-being of individuals, organizations, and businesses in the greater community. Our community involvement and service to neighbors takes many forms. 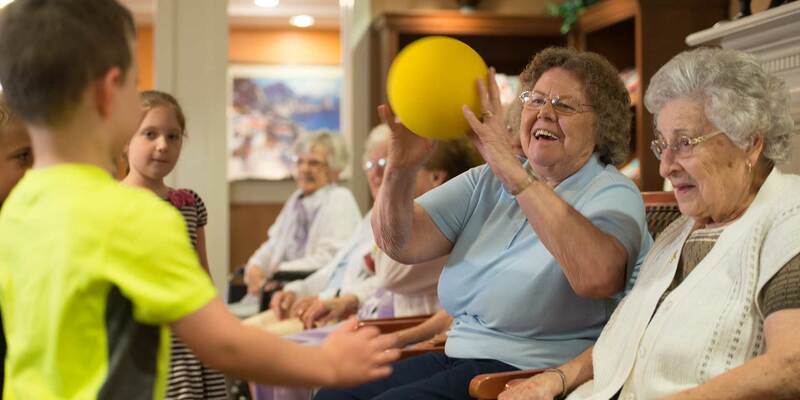 We provide access to quality care for children and seniors, educational and cultural programming, opportunities to grow in faith, recreational activities, and affordable senior housing, just to name a few. Aimed to share in ministry enrichment, Tel Hai’s Faith Connections is an outreach partnership that enhances the communication between faith-covenanted churches and conferences and the Tel Hai community. For specific questions related to Faith Connections, please contact Pastoral Services directly at 610-273-9333 ext. 2009 or email info@telhai.org. Tel Hai’s Community Engagement Committee, which leads Tel Hai’s outreach efforts, focuses on providing support to chronic hunger initiatives, increasing access to health care services for seniors, and supporting anti-poverty initiatives for children. For specific questions related to Community Engagement, please contact the Development Office directly at 610-273-9333 ext. 2039 or email telhaidevelopment@telhai.org. Tel Hai’s child day care center, called The Children’s Learning Garden, provides a safe, healthy, and nurturing environment for children ages six weeks through five years who live in the surrounding area. Managed by Bright Horizons, the program provides planned activities each day for children to discover and develop socially, intellectually, creatively, and emotionally in an age-appropriate manner. In addition to child day care services, before- and after-school care is provided for school-aged youth and a summer camp program is offered. The Children’s Learning Garden is located on the campus of Tel Hai at 1143 Beaver Dam Road, Honey Brook, PA.
For specific questions related to the child day care center, please contact The Children’s Learning Garden directly at 610-273-4642 or email daycare@telhai.org.